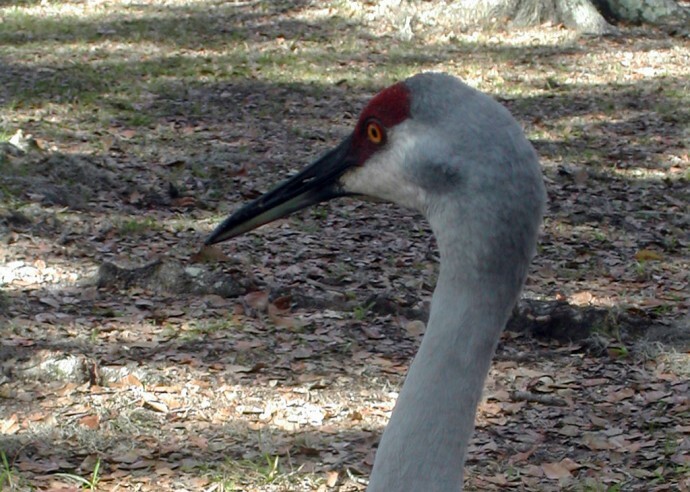 Sandhill crane | Florida Hikes! Consider yourself fortunate to come across sandhill cranes in the throes of their mating dance, as the males leap and prance with wings outspread, bowing and cackling to attract the attention of a mate. You rarely see a solo sandhill crane, as they travel in pairs: sandhill cranes mate for life, returning to the same nesting site every year. After hatching in July, the chicks take two months to mature to where they can find their own food; in the meantime, both parents work to feed their brood of two. Tall grassy savannas, prairies on the edge of marshes, provide the perfect habitat for the sandhill crane, which feeds on insects, plants, amphibians, and fruit. 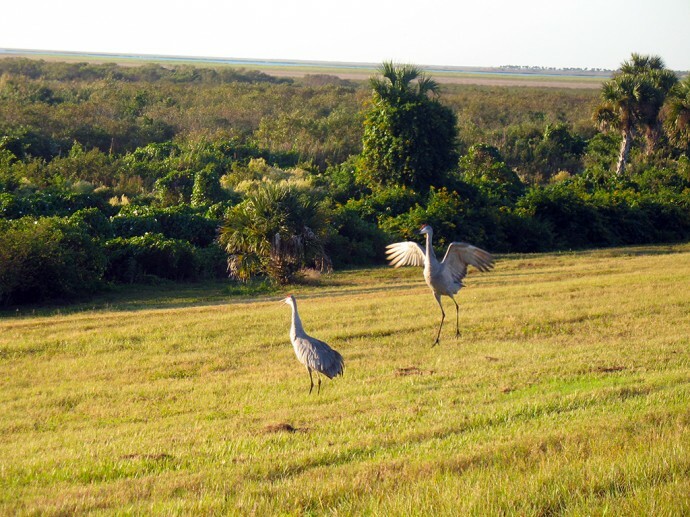 There are two species of sandhill cranes in Florida: the Florida sandhill crane, which lives here year-round, and the greater sandhill crane, which migrates south from the Great Lakes to spend their winters in Florida’s prairies and wetlands.